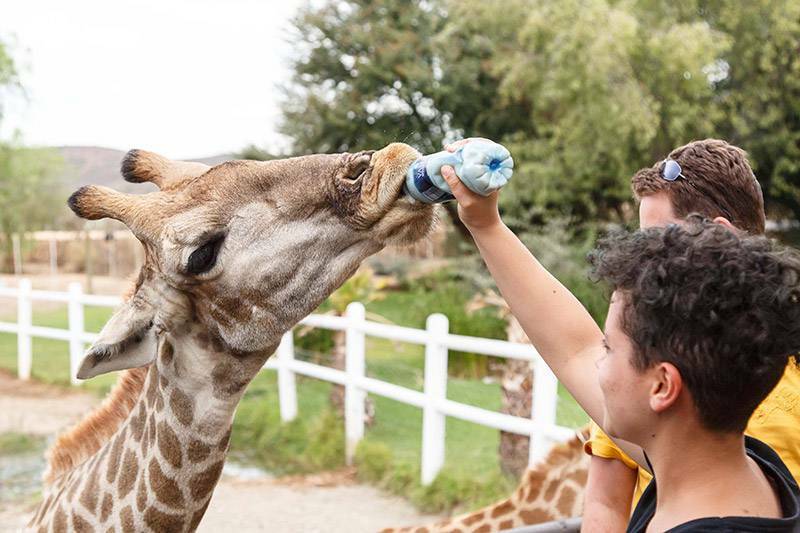 Our two giraffes were rescued from certain death after Shorty’s mother injured herself and Shiela’s mother had no milk to feed her during the terrible drought. 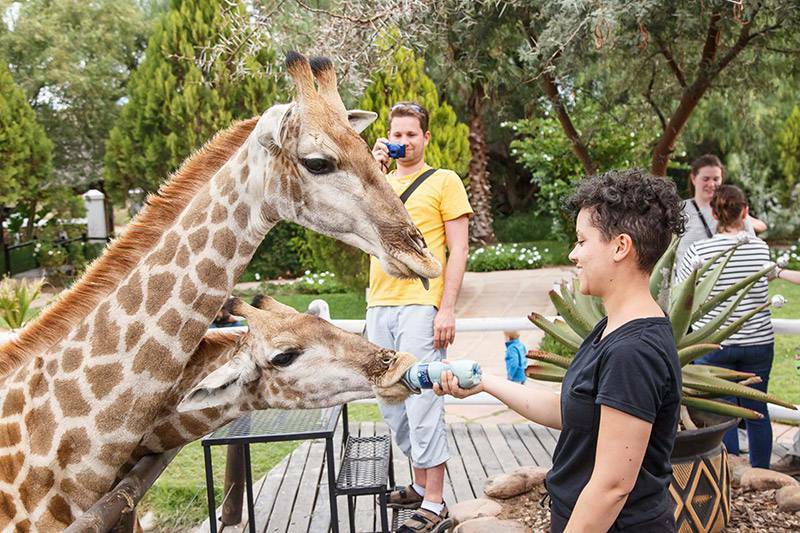 Shorty and Shiela are free to re-join the rest of the Chandelier giraffe herd whenever they like. 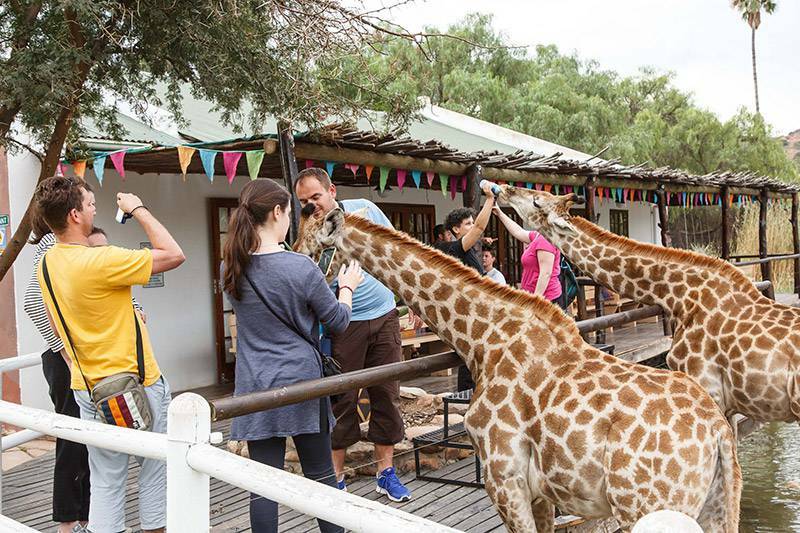 Fortunately, they get so spoiled by the guests that they prefer to stay close to the restaurant. 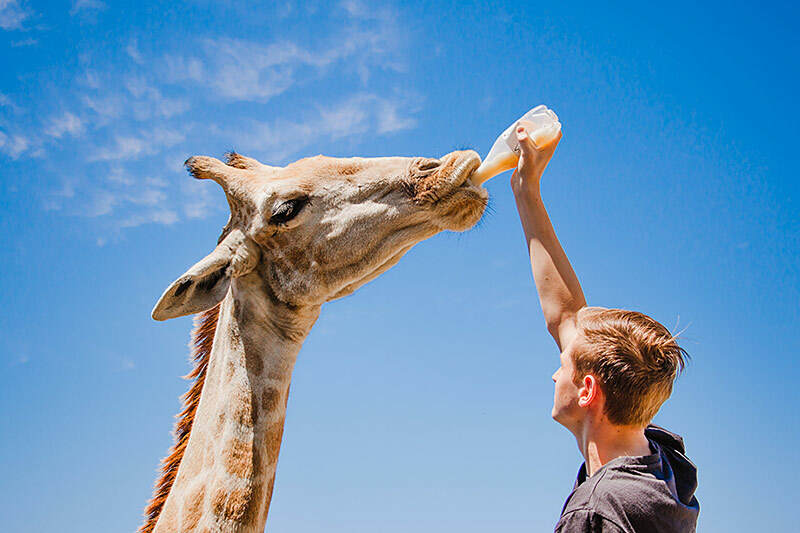 When they become sexually active in the next few years, they may decide to join the rest of the herd. 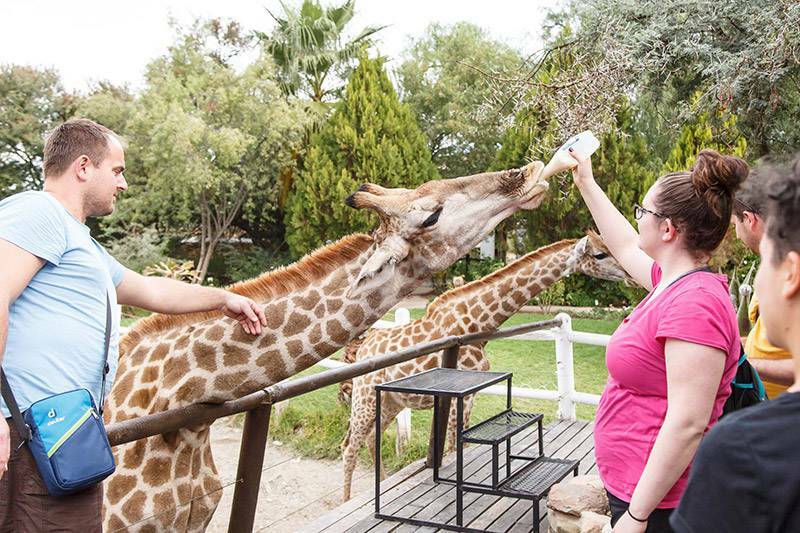 Shorty and Sheila are spoilt with a bottle feed at 09h00, 13h00 and 16h00. 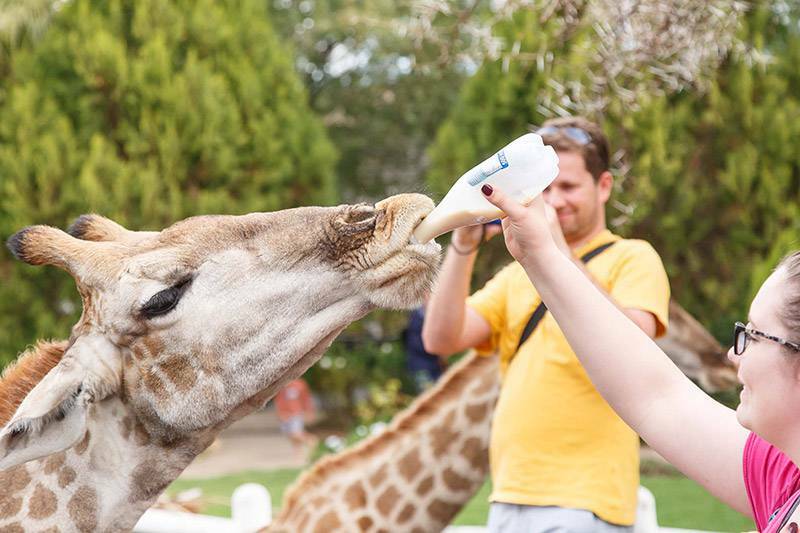 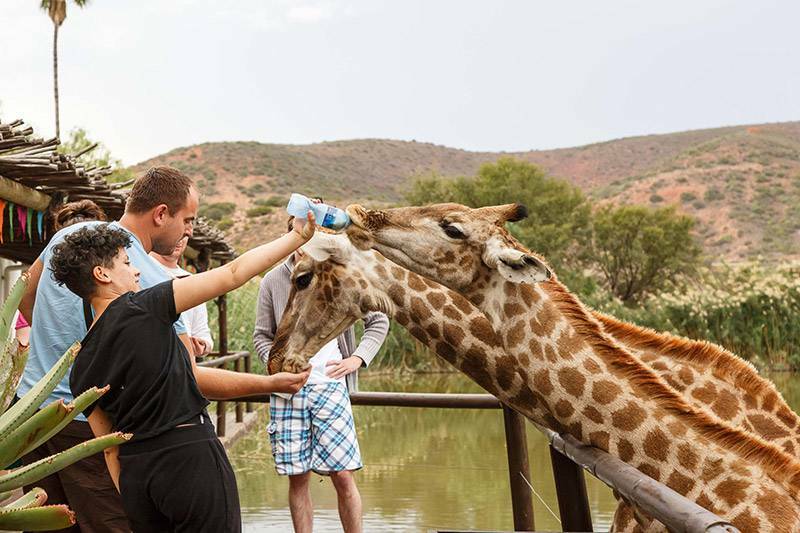 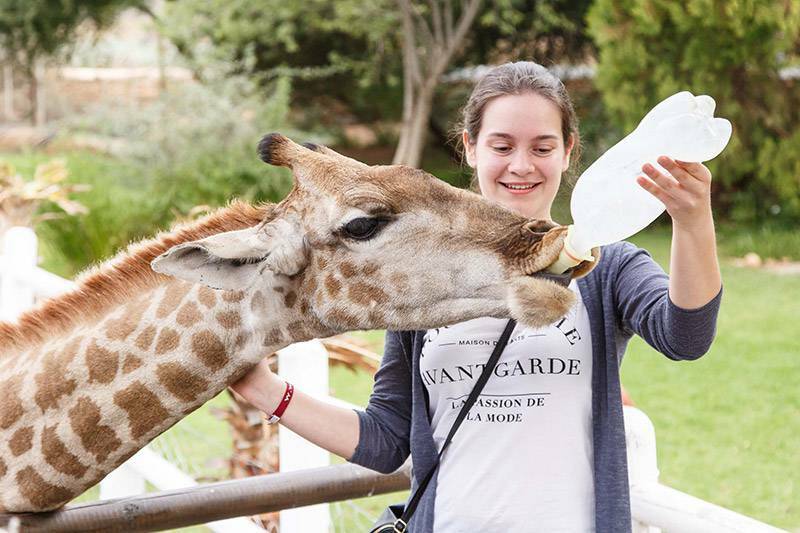 Guests can then get beautiful photos while giving Shorty and Sheila their much-loved milk bottle. 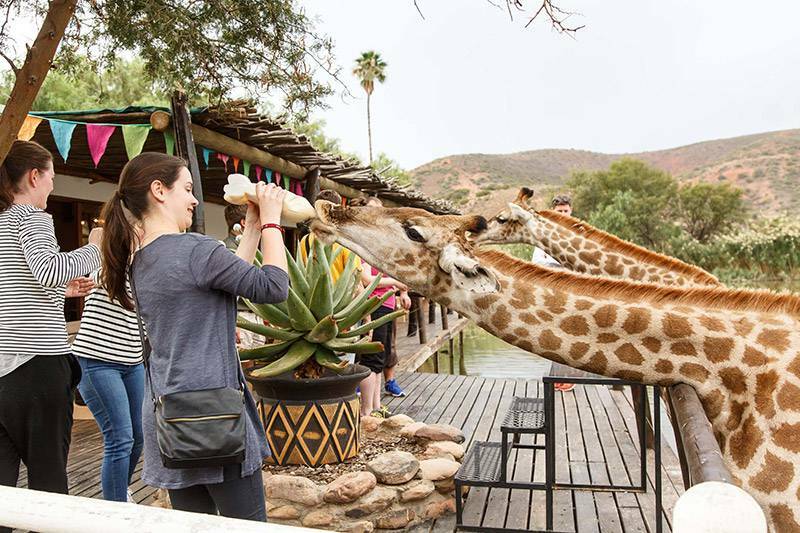 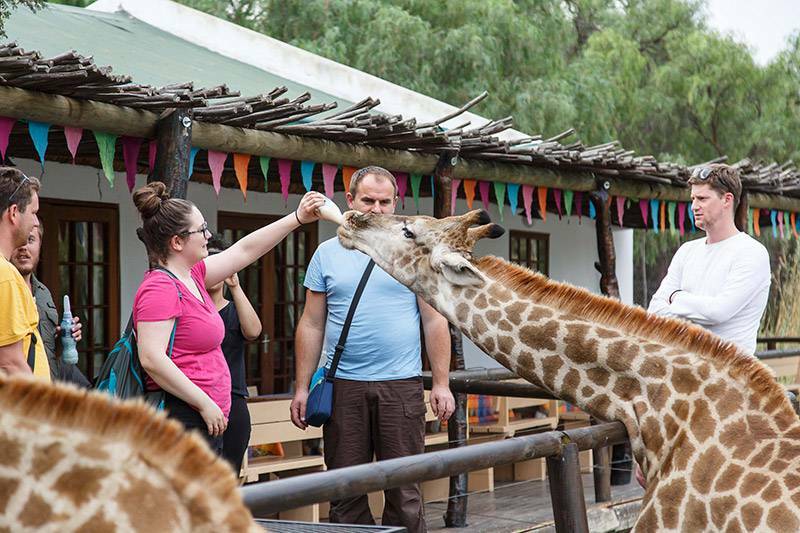 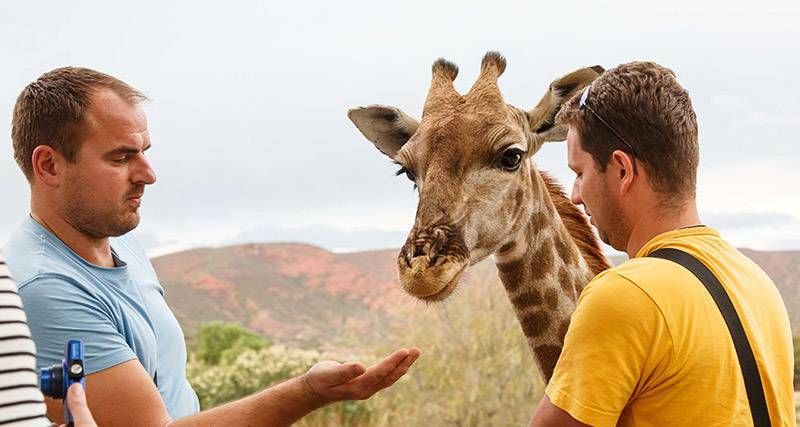 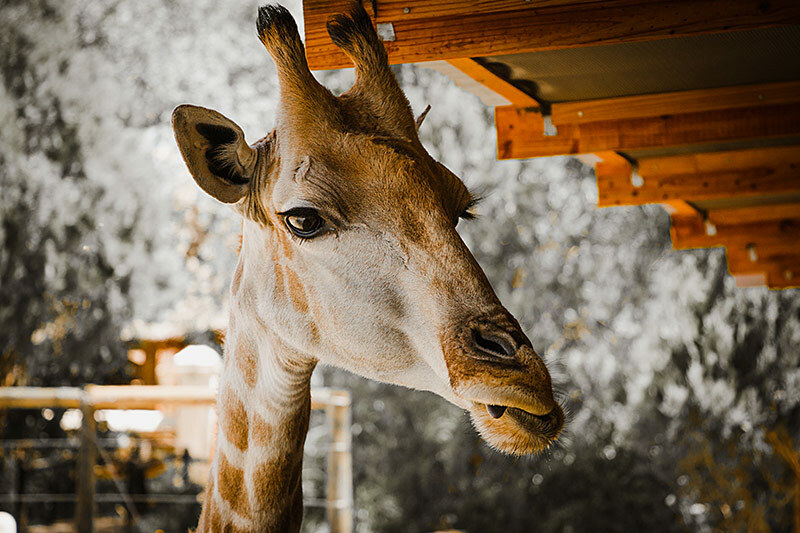 During the rest of the day, guests are welcome to buy food/pellets for the giraffes in the Curio Shop and Shorty and Sheila will eat out of their hands.